Within our present-day globalised societies whereby nations and peoples are all closely interlinked it has become common practice to accept the 1st of January as the beginning of a New Year, often ignoring local, cultural, religious or national customs. However, the origins of this practice, is drawn specifically from the tradition of those who worshipped the sun at around the time, of the Northern Hemisphere’s winter solstice. This particular event was known to the sun worshippers as the Feast of Sol Invictus, whereby they would gather to feast at the midpoint of winter which was seen as a turning point from the starkness of winter’s death and the beginning of re-entry into the natural life cycle as the days grew longer after the feast, moving towards the rebirth of spring. Yet within the ancient world, particularly in the Mediterranean and Middle East regions, the New Year was not the 1st January, but fell roughly around the 1st September which marked the beginning of autumn and the gathering of the land’s first harvests for which the farmers had toiled earnestly for. This day and the period which proceeded from it, was a time marked by thanksgiving for the fruits of the earth, and of making prayerful supplications for the following year’s crops to be successful. 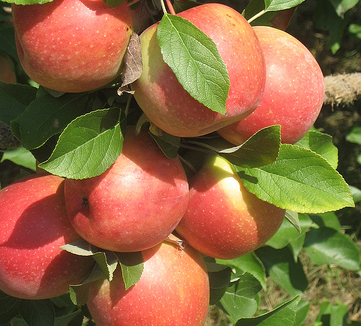 This often involved farmers offering the fruit of that year’s harvest along with seeds that would be blessed within various religious rites. 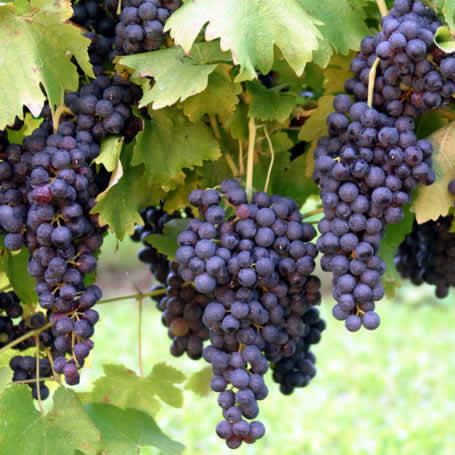 The action of offering seed was in the hope that the following season’s bounty would be successful and protected from disaster through the blessing. 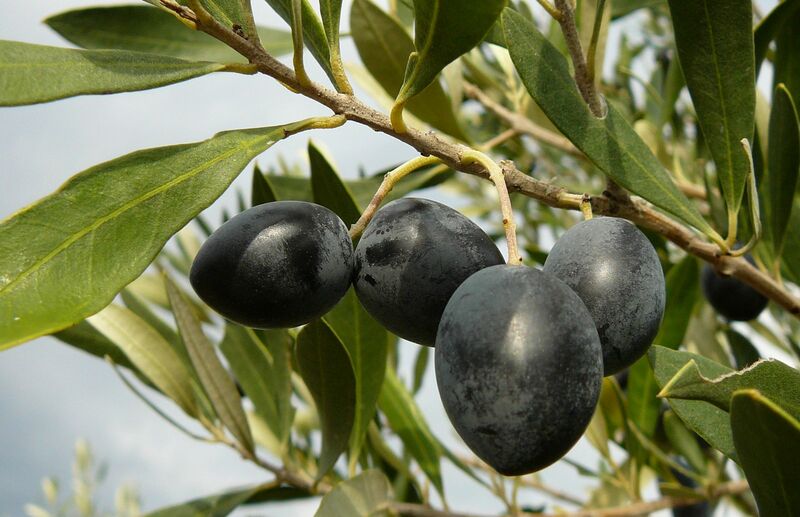 These events would be followed with the storing of seed within warehouses, while in hot dry places like the Mediterranean and the Middle East, there was an additional blessing of seeds when they were planted out in the fields to receive the winter rains. 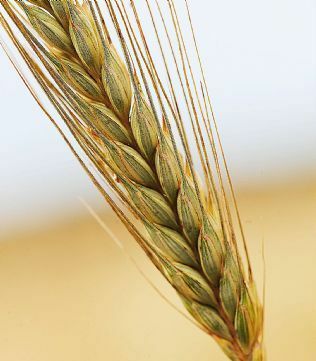 This aspect being particularly important to those regions, because if the seed was not planted to receive the winter rains, then the people would starve, since the spring rains were not sufficient for the germination of their crops. In any case this period saw families and communities gather together to celebrate and share in the earth’s bounty, singing, dancing, reciting stories and so forth. Nonetheless, it was also a time dedicated to meditation and self-reflection, taking stock of the year that had concluded. Within these pre-industrial societies, autumn marked the harvest, while trade wound up its activities for the forthcoming winter months, thus in effect it was also considered, in some respects, as the end of financial year. Hence many civil authorities deigned that it was the appropriate time to assess and collect taxes, which could either be paid with money or in kind, like wheat etc. Within Roman times, this day became known as the Indiction, whereby an annual tax was collected for the maintenance of the army. Furthermore, the rate of taxation would be adjusted every fifteen years in order to account for natural inflation. 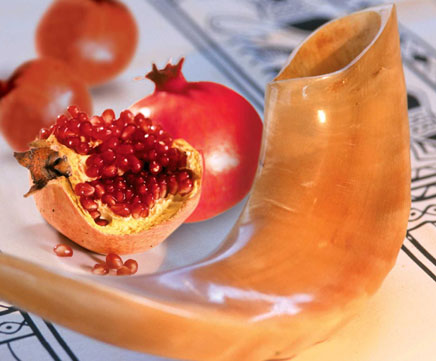 Rosh Hashanah (“Beginning of the year”), is the Jewish New Year, which is celebrated on the first and second days of the Jewish month of Tishrei. It begins the observance of the Ten Penitential Days, a period ending with Yom Kippur that is the most solemn of the Jewish calendar. 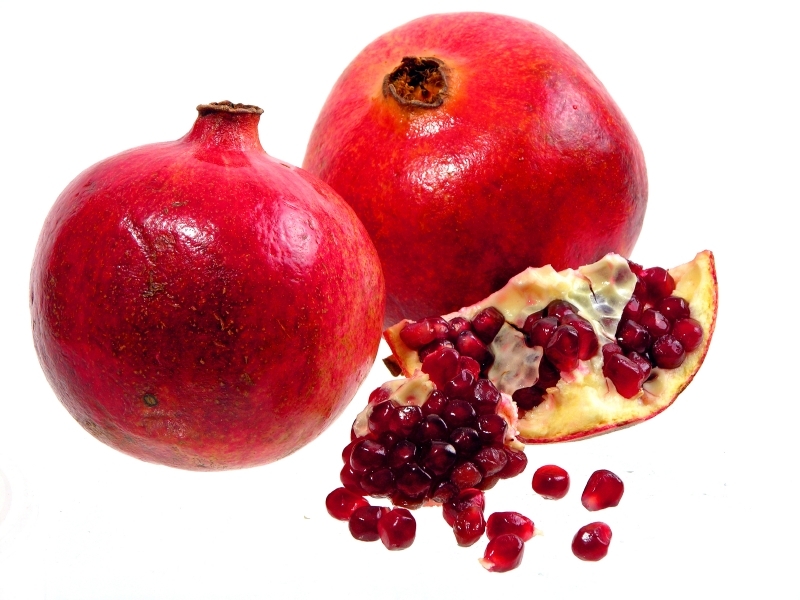 To Jews of present day, Rosh Hashanah and Yom Kippur are known as the High Holy Days. 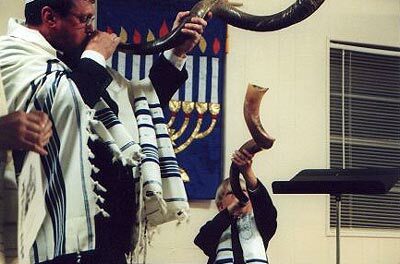 Within the Bible, Rosh Hashanah is referred to as a day of remembrance and of the sounding of the ram’s horn (shofar). These two characteristics of the day, interwoven with the theme of the proclamation of God’s Kingship, became the major components of the New Year’s observance in later Judaism. These elements are emphasised in the service by the repetition of “verses of remembrance,” “verses that mention the ram’s horn,” and “sovereignty verses”. 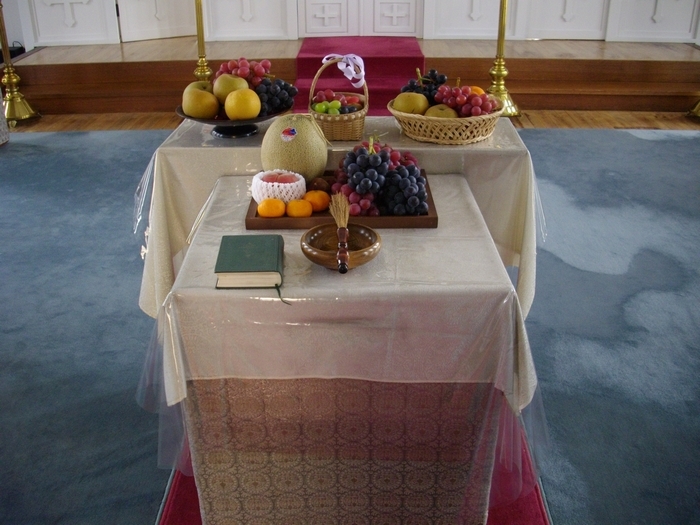 Out of these, the verses of remembrance is crucial to the feast, in that it represents the sense of continuing creation and development of the world, (in other words God’s sustaining gift of life and creation), thus according to Judaism’s perception this feast marks the anniversary of creation. Furthermore, because good and evil actions are perceived to greatly influence the future, the feast thus emphasises that God “remembers” what we do in contributing to this tension between good and evil. 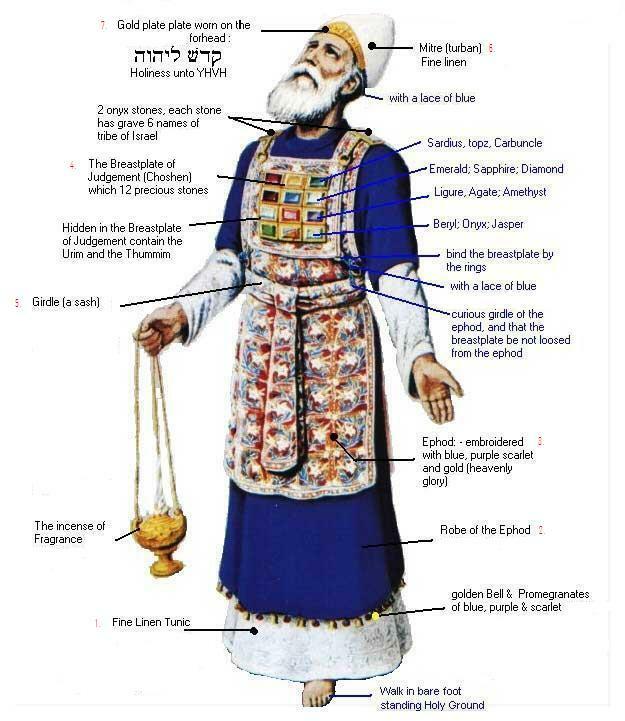 Hence during the feast mention is made of the meritorious acts of the Hebrew patriarchs Abraham, Isaac, and Jacob as a paradigm of virtue and as an exhortation to emulate their holiness as the path to redemption. Accordingly, the most prominent Scriptural passage utilised within the Rosh Hashanah service is that of the binding of Isaac (see Genesis 22), which forms the key Scriptural pericope designated for reading on that day. The passage in question leads into the theme of the ram’s horn, which during the service is blown, and represents the horn of the animal sacrificed in Isaac’s stead. (Once again, we see the theme of God’s gift of life and all of Creation belonging to Him). Nevertheless many ancient peoples often made noise at the New Year to drive away demons. Within Judaism this practice was transformed, whereby Jews would blow into the shofar to prefigure the moment when God would destroy the evil in the world, (reflective of the Christian belief of the Day of Judgement). At that moment, it is held in the “sovereignty verses,” God will be King over all the earth, as He is now King over those who accept him in a renewal of commitment on Rosh Hashanah. Yom Kippur (“Day of Atonement”), was a solemn feast which fell on the tenth day of Tishrei, and it is the high point of observance of the Ten Penitential Days, which begin with Rosh Hashanah, and is considered the most sacred of Jewish feasts. The feast itself is a day dedicated to confession, repentance, and prayers for forgiveness of sins committed during the year against the Laws and Covenant of God. For some Jews it was also believed that this particular day a person’s own fate for the ensuing year was sealed. The grounds for this interpretation, was drawn from the laws that could be found within Leviticus 16, 23:26-32, 25:9 and Numbers 29:7-11. In the days of the Temple in Jerusalem, the high priest offered sacrifices for the expiation of sin. During the ritual, the high priest placed his hands upon a goat as he confessed the people’s sins; the goat was then taken into the wilderness and thrown over a precipice. 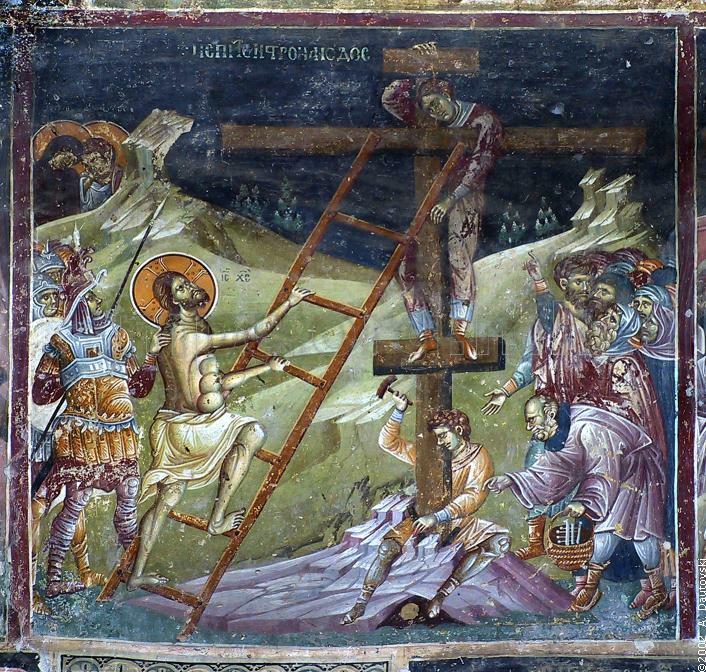 This act was symbolic of expiation and God’s forgiveness. The concept of the scapegoat, that is, someone who bears the blame for others, originated in this ceremony. In modern practice, Jews observe the day by a rigorous fast and virtually unbroken prayer. The mood is solemn but not mournful, as evidenced by Mizrahi and Romioniote Jewish custom of calling Yom Kippur the White Fast; which is in contradistinction to Tishah b’Ab (the Ninth of Ab), the Black Fast, which commemorates the destruction of the Temple. 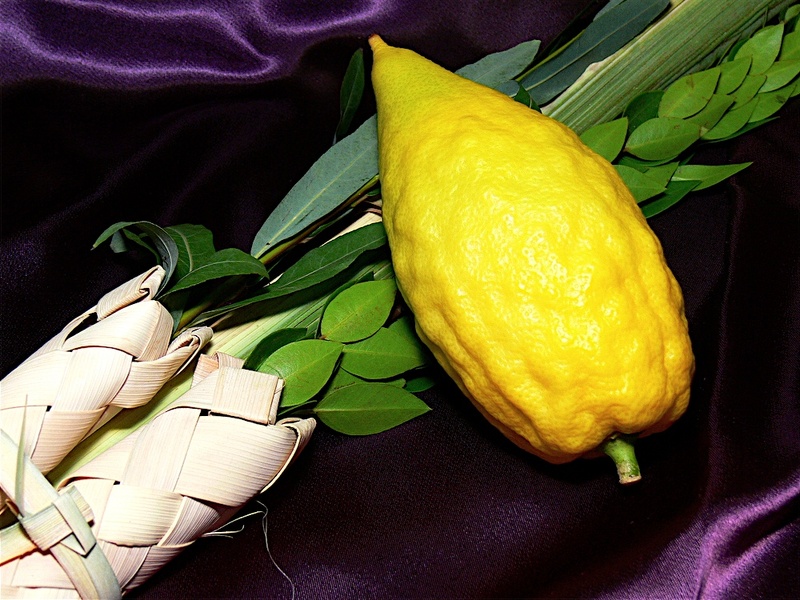 Sukkot, also known as the Feast of Tabernacles, is the name given within the Old Testament, which refers to the close of the harvest in Palestine. As a harvest festival it is also known as the Feast of Ingathering (see Exodus 23:16, 34:22) and can be traced back to the Canaanites, who during this period would remain in their fields dwelling in tabernacles, or booths, in order to be close to the harvest. For the Hebrew people who settled in Canaan, (and adopted the Canaanite custom of the harvest festival), the dwelling in tabernacles/booths was a reminder of their former nomadic existence. 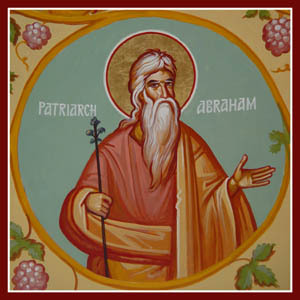 This gesture of dwelling in booths often represented the journey of Abraham towards the Chosen Land or the 40 years’ sojourn in the wilderness when the Hebrews had departed from Egypt, whereby the tent was the only habitation, thus the festival’s alternate name Feast of Tabernacles (see Deuteronomy 16:13-16, 31:10-13; Leviticus 23:34-36, 39-44; Numbers 29:12-40). The significance of Tabernacles is also an indicative reminder of the Tent (Tabernacle) that was established by Moses in which the Ark of the Covenant was conveyed (see Exodus 25-31, 35-40), and was held to represent the presence of God amongst our midst. 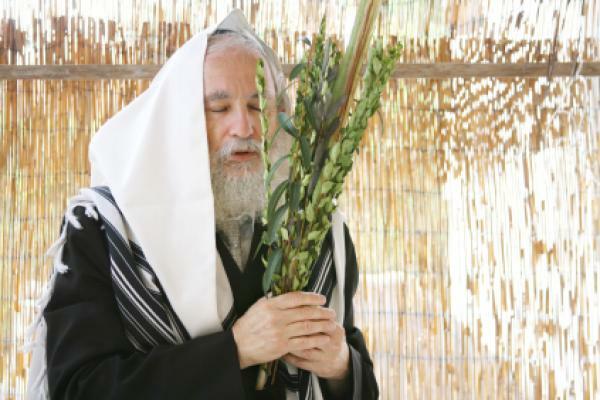 In any case, Sukkot was celebrated on the 15th day of Tishrei and would last for eight or nine days. During the festival, it was quite customary for Jews to eat (and even sleep) in the special booths or huts, which were built in the five days between Yom Kippur and Sukkot. 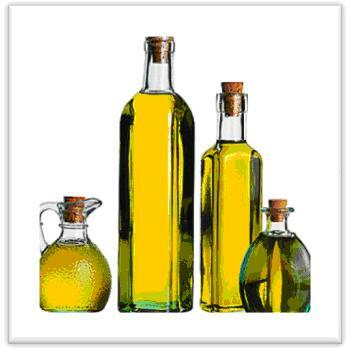 Palm, myrtle, willow, and citron were brought to the Temple (see Leviticus 23:40), and during the chanting of Hallel these were waved about, as is the present practice amongst Jews today within their synagogues. In summing up, the Jewish tradition of New Year, was a period that was dedicated to solemn contemplation, acknowledgement of God, supplicatory offering to God and finally concluded with celebration. For the Christians, maintaining the New Year period in September was not differing in practice from their Jewish roots or their pagan counterparts, since for all peoples at that time, it was only natural to mark the New Year with the end of the agricultural cycle that was concluded by the harvest. The Christians drew upon the themes and insights of the three key Jewish festivals and in time synthesised these into one feast which became known as the Feast of the New Year (Indiction). 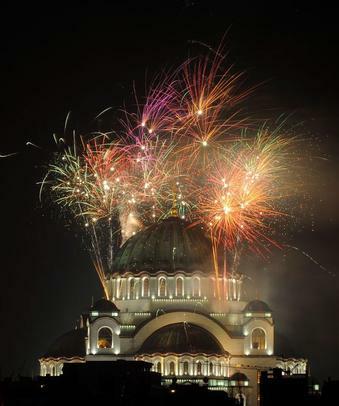 However, for Christians the meaning of New Year took on a unique insight and understanding which related to spiritual development and living a life in Christ. For Christians, Christ’s exhortation and teaching about planting the seed of faith in order to produce the fruits of faith was one of the key themes which underpinned this feastday, (cf. 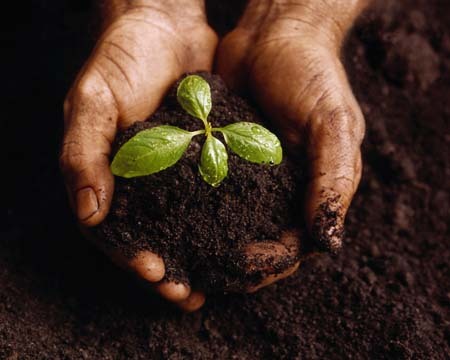 Parable of the Sower Mt 13:3-23; Mk 4:1-9; Lk 8:4-8, Faith as a Mustard Seed Mt 17:20; Lk 17:6). Of course in coinciding with the ingathering of the harvest, the Church used this to link it and make reference to the first-fruits of faith and the spirit, particularly the gift of redemption wrought by Christ via His Resurrection (Rom 8:23; 1Cor 15:20, 23; James 1:18). The relevance to the believer was their own spiritual response to God’s calling, bringing forth its own first-fruits through their own personal struggle for Christ within that year which had passed. They would then contemplate and reflect upon what improvements could be made, or goals to strive towards, within the forthcoming year. These resolutions would then be cited to a spiritual father who would work closely with the believer to discern whether their aims were feasible, what strategies could be utilised for fulfilling their goals, while provide positive and objective feedback, or suggest more possible alternatives, before affirming that they will support and monitor their progress within the forthcoming year. 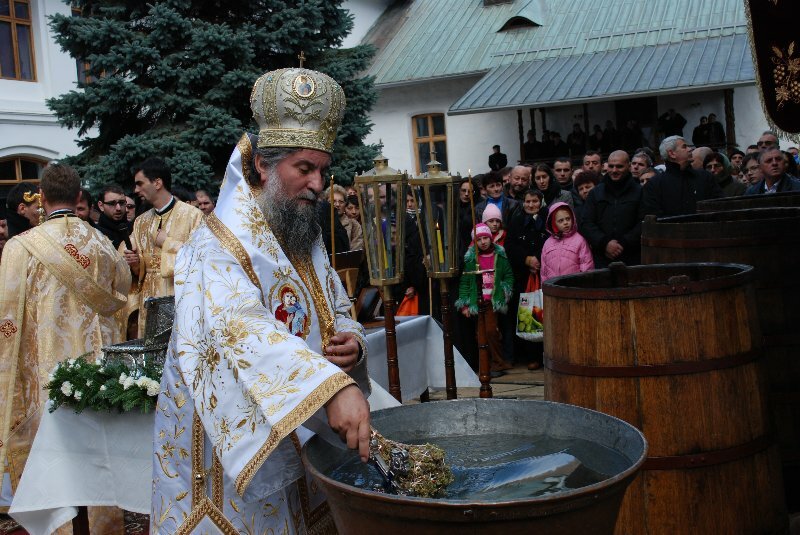 Nevertheless the Church also wished to tie in the harvest and the blessing of seed for the next agricultural cycle, to highlight our own dependency upon God for survival, as is reflected within one of the Divine Liturgy’s petitions: “For seasonable weather, the abundance of the fruits of the earth, and peaceful times, let us pray to the Lord”. Within the Christian liturgical services this view was represented by the fruits of the earth being offered by farmers and greengrocers in thanksgiving, and for the blessing of the feast which proceeded after the service, while the sanctification of seeds for the success of next year’s crop, served as symbols of life (past, present and future). 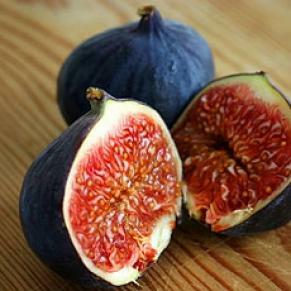 To take the analogy further, the original seed being God, who was planted amongst us, bore the fruit of the faithful, and thus with every forthcoming generation the fruits would be gathered and seed taken from them for the establishment of the next generation of faithful, or as we would call it, Apostolic Succession and the Communion of the Faithful throughout the ages. The other main theme of the feastday was to also mark the feast of Life and Creation which is a gift given and sustained by God. A gift which in the Genesis narrative of Creation cites, that humankind was placed to serve and maintain what God had created and to dwell within its natural cycles of life like the seasons and so forth. 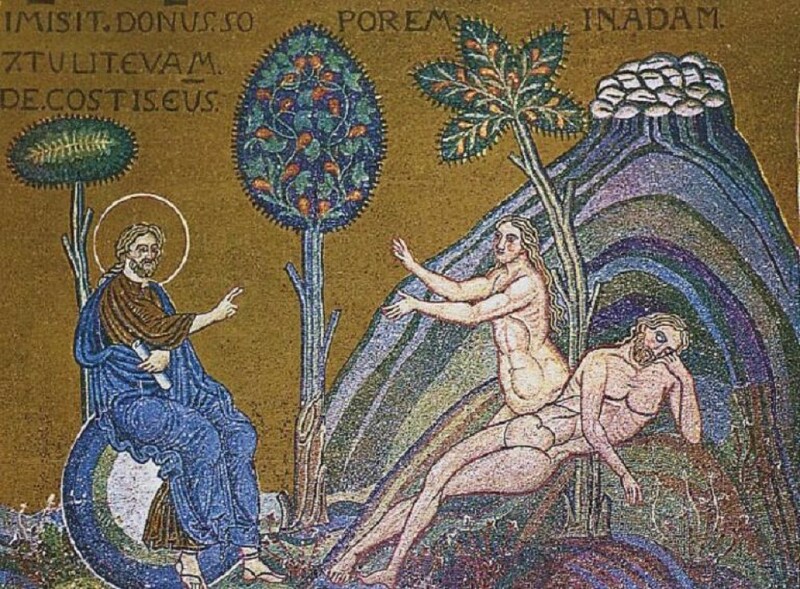 It is not surprising that with Adam and Eve seeking a different source of life outside of God and His Creation through their fall, followed by Cain’s expulsion from the land of Eden for the murder of his brother Abel, we see humankind distancing itself further and further from the natural world created by God, and taking their call of dominion over creation as something to exploit and abuse. Within this process the creation of a man-made reality takes shape that sees the consumption of the earth’s resources in an unethical, wasteful and dangerous way for something as base as economical gain and political power, rather than sustainability and harmony. In taking our dominion over creation, to mean the subjection, conquest and exploitation of the natural world, we bend it to conform to our notions of life, rather than live within its rhythm and natural cycles. Thus the New Year is a reminder of the theme raised by Psalm 65 (64) that praises the Creator Who is awesome as the Holy Lord but who richly sustains the earth with His abundant goodness. Therefore the Church states categorically through its hymnology of this feastday which reflects psalm 65 (64), that the coming year is God’s to give and God’s to bless, a year of the Lord: “Bless, O Lord, the crown (the beginning) of the year with Your goodness!” The goodness referred to here of course is speaking of Christ’s love, mercy and grace, and it is especially the gift of grace we earnestly petition the Lord to bestow upon the coming year, so that it may be a year of grace, a year blessed by the Lord. Apart from extolling the wonderful works of God in creation and salvific history, the Church’s hymnography provides guidance on how one can make the coming year one blessed by grace. The very first hymn of the liturgical New Year which is chanted in the joyful first tone at Vespers, reminds us that daily prayerful dependence on God is the foundational attitude of the believer and mode of life. However it also alludes to a key Biblical passage which is an address to the faithful: “O faithful, having learned true prayer from the very words and divine teachings of Christ, let us cry out to the Creator each day: Our Father Who dwells in heaven, give us always daily bread, and forgive us our transgressions” (Vesper Hymn, September 1). The teachings of Christ are the source of truth for our daily lives. Our Father in Heaven is a personal God who provides for all our material and spiritual needs as we ask Him in faith. Daily prayer is the ongoing mode of dialogue within this vital relationship with God (it is the spiritual nerves and breath of a person!). This daily prayerful dependence upon God seeks to sanctify every moment of the day, irrespective whether we are engaged in work, play, rest or in difficulty, for it fills the day with the presence of God and makes it His moment. “Christ our God, Your Kingdom is an everlasting one and Your lordship is over all. You have made all things with wisdom and have established proper times and seasons for our lives. We give thanks to You in all circumstances and for all things. Lord, bless the beginning of our Church year with Your goodness. Grant that this liturgical year be for all of us a year of grace. Make us worthy with purity of heart always to praise you. Lord, glory to You!” (Matin Hymn, September 1). “Christ our Lord, You who provide the rains and fruitful seasons, hear the prayers of those who humbly seek You, accept also our requests about our needs and concerns and deliver us from worry, danger and sin. Your mercies are as abundant as Your works. Bless all our activities, direct our steps by Your Holy Spirit, and forgive our shortcomings. Lord bless the year with Your goodness and make it a year of grace for all of us. Amen”. “O Lord, Creator of all things, who by Your authority have established times and seasons, bless the beginning of our Church year with Your goodness; preserve Your people in peace, and through the intercessions of the Theotokos, save us, Amen”. 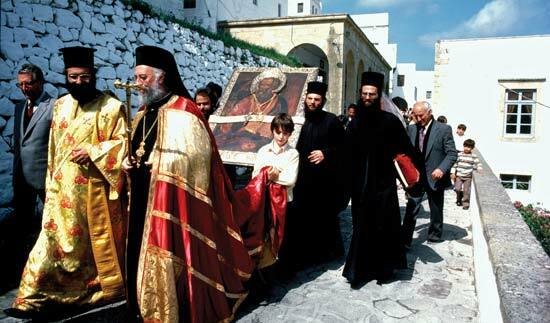 In keeping with these themes of thanksgiving and dependence upon the Lord, the Ecumenical Patriarchate in 1989, dedicated the Ecclesial New Year to the protection of the natural environment calling upon all Orthodox faithful and the Christian world to: “offer every year on this day of prayers and supplications to the Maker of all things; thanksgivings for the great gift of the Creation, and supplications for its protection and preservation from every evil that threatens it”. This proposal was finally adopted by all the other Orthodox Churches in 1992. The Word of God is a central theme to the feastday’s liturgical services, since there are a total of nine readings designated, consisting of three Old Testament pericopes which are read during Vespers, and five from the New Testament which are read during the Matins and the Divine Liturgy. The main Bible reading for the Divine Liturgy of September the 1st is Luke 4:16-22, a passage which marks the beginning of Jesus’ ministry in the Lucan gospel narrative. 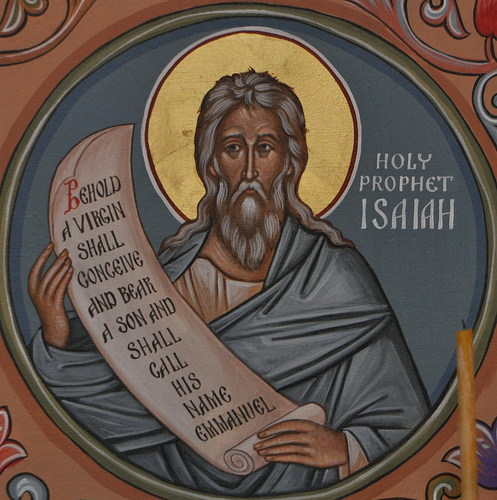 In this reading we see Jesus begin his ministry within the synagogue on the Sabbath, where He reads from the Book of Isaiah and proclaims to the world that Isaiah’s prophecy is fulfilled in Him. According to Orthodox liturgical tradition, Jesus came to Nazareth to preach this Good News of His mission on September 1st which would have coincided with the Jewish feast of Rosh Hashanah. Unfortunately, this cannot be verified outright since over the centuries many things have been lost or forgotten from collective memory, and are preserved and remembered via oral and liturgical tradition, yet the significance of the Church linking the beginning of the New Year with the beginning of Christ’s ministry is one of immense significance. For the Church has placed Jesus to speak directly to us through Luke’s account (4:16-22), whereby we are confronted with the same questions that Christ confronted His contemporaries with in the synagogue at Nazareth with His preaching. 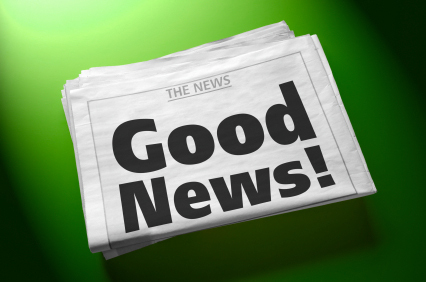 How will we respond to the Good News? Will we respond in a positive frame of mind or with hostility and apathy? For the Orthodox believer Christ’s good news demands a faithful but total response of mind, heart, body and soul, since God’s unconditional love was shown by the precious gift of His Son who shed His blood on the Cross for our salvation. Thus our response to God’s call of love must be unwavering and steadfast. O Creator of all the Universe, Who has placed times and seasons under Thine own Authority; Bless, O Lord, the Crown of this year of Thy Kindness, keeping in Peace Thy Kings and Thy City; by the Intercessions of the Theotokos, O Only True Lover of mankind. Rejoice, O Theotokos Virgin Full of Grace: for from Thee has shone forth the Sun of Righteousness, Christ our God, giving Light to those in darkness. Be glad also, Thou Righteous Elder, for Thou hast received in Thine arms the Deliverer of our souls, Who bestows upon us Resurrection. 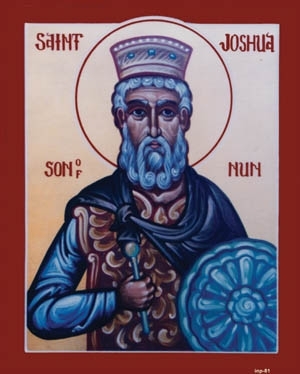 Thou became a Pillar of Patience, and the Ancient Fathers Thou equalled and rivalled: Thou rivalled Job in Sufferings, Joseph in Temptations, and the Lifestyle of the Incorporeals while in the flesh. 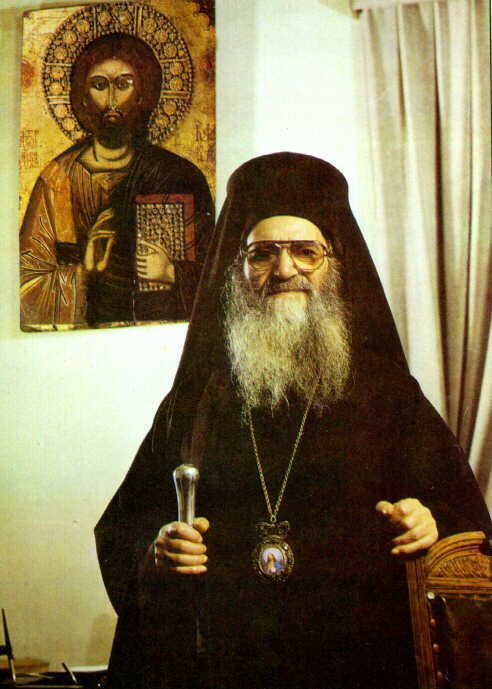 Therefore, O our Righteous Father, Symeon, Intercede with Christ God to Save our souls! O Thou Creator and Lord of ages, O God of All, truly transcending all essence, we earnestly beseech Thee to Bless the year, and, O Tender-Loving Lord, in Thine Infinite Mercy, O only Master, Save us all who worship and serve Thee, O our Redeemer, and who cry with fear: For all Thy servants make the coming year fruitful. 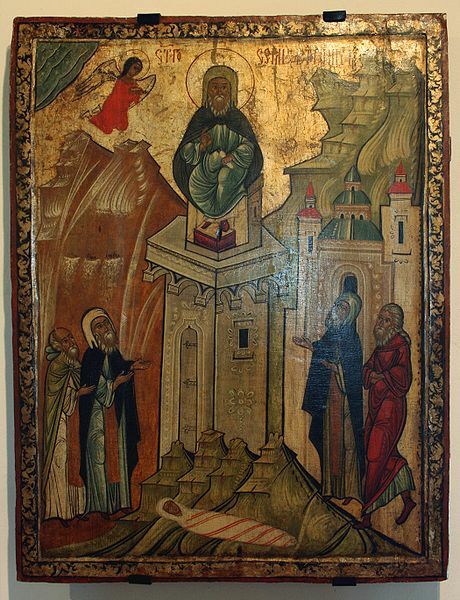 On this great feastday, the Church marks the memory of St Symeon the Stylite who dwelt upon the top of a pillar (stylos – thus the epithet stylite) in devoted prayer, sustained primarily by the power of God, and little else. His ascetical witness served as a denial of all earthly things, as well as a physical pointer towards the Heavens, thus provokingly reminding all those who saw him the purpose to which we are all called towards, which is our sanctification and entry into the Kingdom of God. 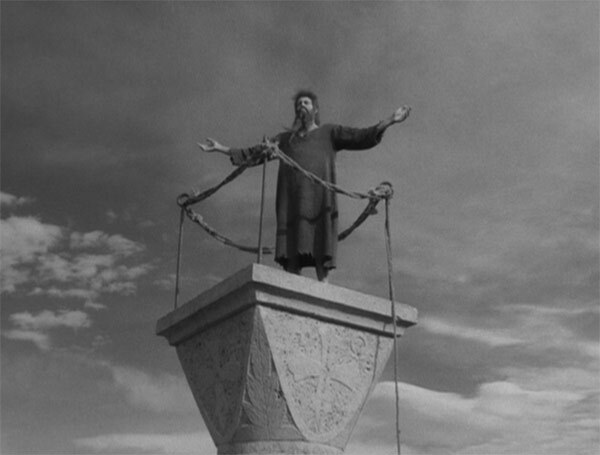 Symeon’s unique dedication to God had a powerful impact upon many generations of Christians who wished to commit their lives to Christ, particularly those who sought to mimic Symeon’s example by becoming stylites themselves. Symeon’s example is one that the Church often refers to, as a bloodless martyrdom, because a martyr who sacrifices their life for the Faith does so only once by the hand of their persecutor. 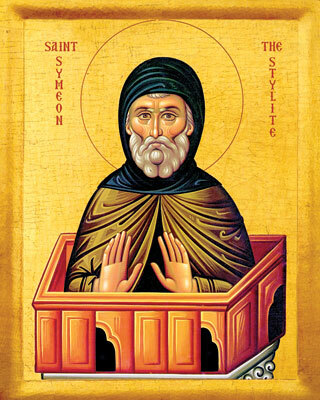 Whereas a bloodless martyrdom like St Symeon’s does not happen once but many times over, and in St Symeon’s case that martyrdom lasted for some forty years dwelling upon his pillar until his death in 459AD. One of the key hymns for St Symeon’s feast compares the Saint’s witness to the dedication of Christ’s own ministry: “O holy Father, imitating your own Lord, you ascended on a pillar as if on a cross by the power of the Holy Spirit. The Lord wiped away the ancient sentence against us whereas you destroyed the rebellion of corruptive passions; He became as a lamb and you as a victim; He ascended a cross and you a pillar. Holy Symeon, intercede with Him for the salvation of our souls”, (Vesper Hymn). By placing before us St Symeon’s extreme example of asceticism at the beginning of the liturgical New Year, the Church is declaring how seriously it takes the priority of Christ and how uncompromising our Faith is about worldly values. 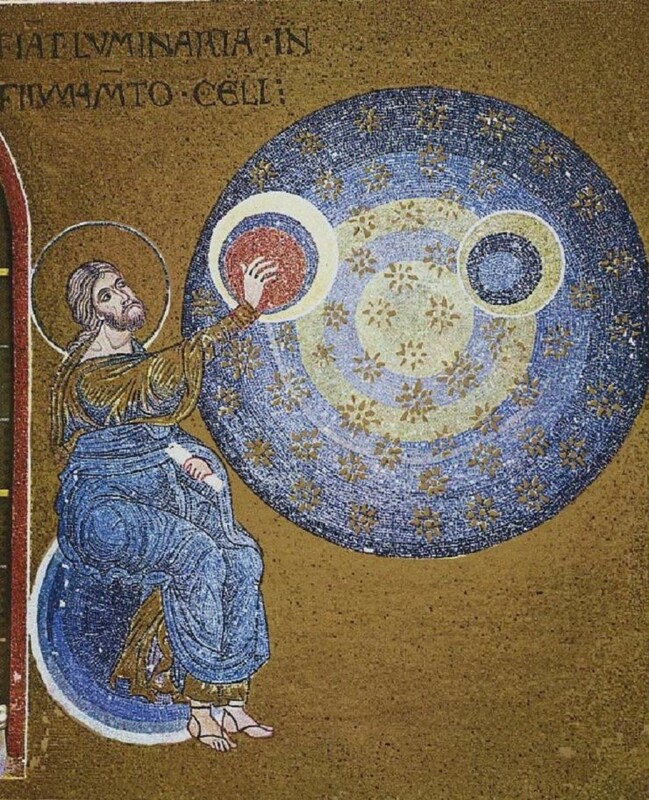 The eve which proceeds the feast is one of deep prayer and contemplation, whereby one can pause and refresh the spirit, meditating upon the forthcoming year ahead and recommit one’s life to Christ, before the celebration of the actual day of New Year, entering from the silence of night into the feast of light. 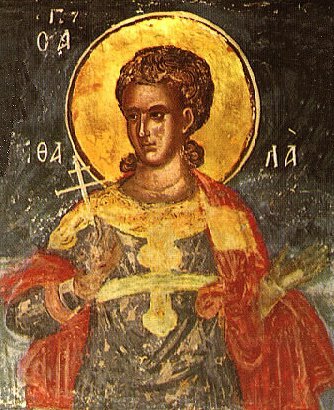 O Symeon, our righteous Father, intercede with Christ God that our souls be saved. thy pillar became a chariot of fire for thee. and together with them, O Saint, thou ceaselessly prayest Christ God for us all. St Athena, St Penelope, St Kleopatra, St Kleonike, St Margarita. and St Aithalas of Persia. I had been asked by some to include a few brief comments on the customs of the celebration. Speaking to some of the elderly members within Melbourne’s Orthodox communities, revealed that there was quite some uniformity in practices. The common thread was that the people would bring all manner of food and flowers to church for blessing. Some of it placed on the table with “artos” for vespers and then on an empty table during matins and the liturgy. Usually the key symbols of the feast, if obtainable, were olives, figs, wheat husks, grapes, pomegranates, wine, water and olive oil. 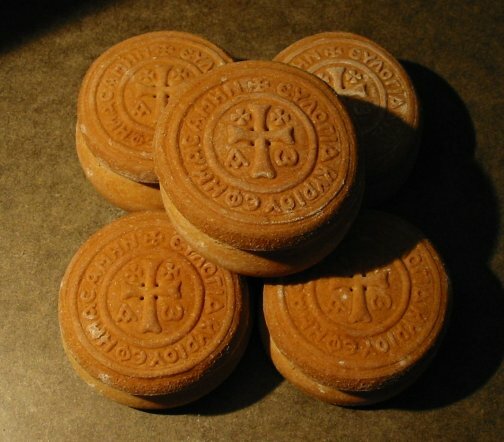 In the colder Eastern European Orthodox lands, some of these would be replaced with vegetable or sunflower oil, apples, rye, corn and plums. During the service people held various sorts of flowers, seeds or produce, which often included the recent year’s vintage, (-from which I have been told, was occasionally imbibed during the service when no one was looking! That of course is not part of the day’s custom until after the service!). In any case the church would be decorated with fruits, flowers, vegetables, and various grains which were held together with colourful ribbons and tapestries around icons and on the walls. In many cases the clergy would often conduct an aghiasmos service (blessing of the waters), read various prayers of thanksgiving and bless the produce set on the table before the solea, before proceeding to bless the congregation, and then concluding with a procession around the neighbourhood, village or church to the sound of drums, cymbals and trumpets, or in some places flutes and clarinets accompanying the drums. Then everyone would proceed to the church’s courtyard for the celebrations, which would include dancing, singing, communal feasting, story-telling, poetry or even the premiere of a theatrical performance. The days that would follow would witness the clergy going around blessing gardens and farms. In Asia Minor, to symbolise the washing away of the previous year’s trials and tribulations, to be renewed, clean and prepared for the forthcoming year, people would break open barrels of rose or citrus scented water and douse each other with it often sprinkling each other with aromatic spices, usually taken from gardens or the wilderness, like rosemary, lavender, cinnamon etc. 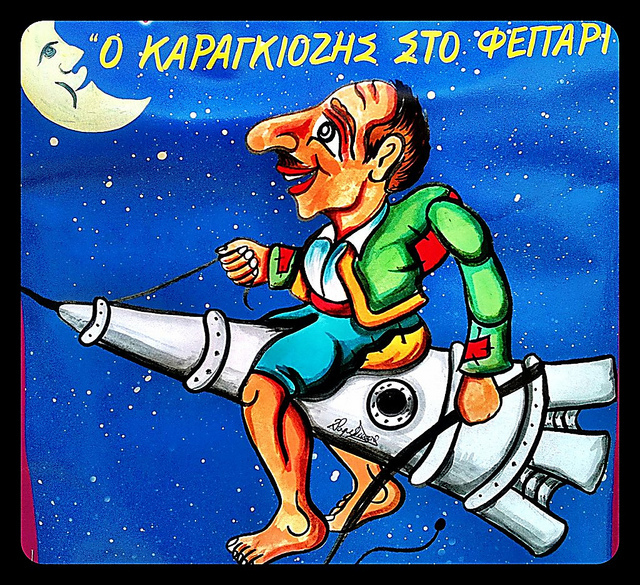 This also gave relief from the heat of the day, while people would remain till night when a performance of the shadow theatre Karagiozis (Black-Eye: Karagoz) would be given, concluded with the lighting of the night sky with bon-fires which would have various treats like chestnuts being roasted over them. 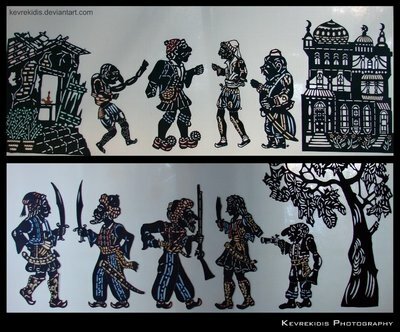 In a slightly different take, the Cephalonians would crack open barrels of cologne and perfumes and douse each other, while the singing of kandathes would follow, along with the telling of humorous anecdotes and impressions satirising various character types within society. They would then conclude their feasting with the consumption of seeds like sunflower, pumpkin, watermelon as well as various nuts like pine, almonds, hazelnuts, walnuts and so forth. While in some parts of Georgia, people would go around wearing wreaths of flowers, grapes and barley, banging pots and pans gathering money and food for the needy and singing songs as they went about. 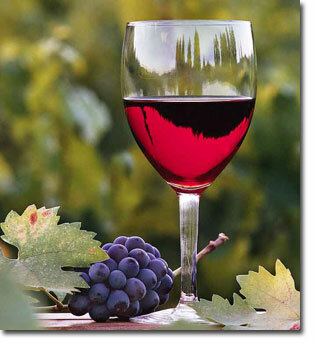 Whereas in Bulgaria, they would go about with roses and carnations, offering well-wishes to people as they passed and offering bottles of wine, spirits and jars of jam and preserved fruits. 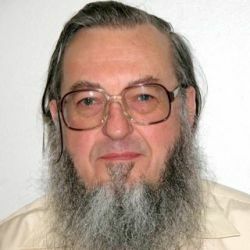 –Dedicated to our beloved lecturer at St Andrew’s Theological College, Dr Guy Freeland, whose sharp British wit, selfless contributions towards Orthodox Christian learning, the exacting high standards that he sought to instil within students, as well as his own piety and humility was both an inspiration and a refreshing example within a world gone mad! To you and to all peoples we wish you a Happy New Year blessed by God with joy, peace, health and wisdom. –V. M.
 A point which was not accepted by all Jews and was bitterly contended amongst the Pharisees, since within Scripture there is no other clear indication for this contention about fate, since we as the image of God were bestowed freewill and thus can, if willing, to respond to our surroundings and influence or change fate. In other words we are responsible for our own choices and journey in life to adhere to the Laws of God. Today, this notion seems to be most prevalent amongst Ashkenazi Jews, whereas Rominiote, Mizrahi and Sephardic Jews do not seem to put such an emphasis on fate and maintain more of an emphasis on a person’s ability to freely determine their journey throughout life via their obedience to God’s Law and its spirit. However it seems that the Tabernacle made by Moses (see 1 Samuel 3:3) was superseded by a more permanent building at Shiloh (near Jerusalem) before the time of King David. The Tabernacle was roughly equivalent to the sacred enclosures of the Temple, called the Holy Place and the Holy of Holies. 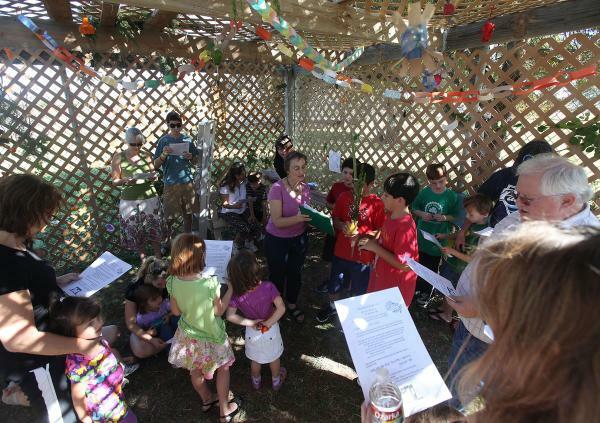 In modern day practice, Sukkot is celebrated for eight days by Israeli Jews and Reform Jews, and for nine days by Orthodox and Conservative Jews. Hallel (Hebrew, “praise”), in Jewish ritual, is a selection from the Psalms, chanted as part of the services during certain festivals. The more frequently used selection includes Psalms 113-118 and is known as the Egyptian Hallel, presumably because Psalm 114 begins, “When Israel went out of Egypt …”. 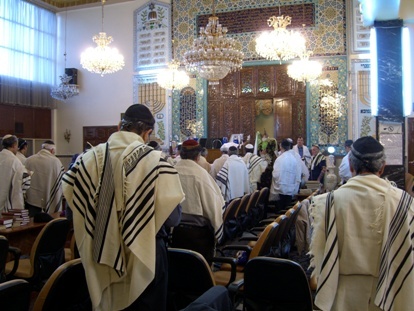 The theme of Yom Kippur within the Christian Tradition was not confined to one feastday within the calendar, but due to the rite of confession and Christ’s teaching exhorting all peoples towards daily self-introspection and confession of sins, and thus not to confine repentance to one day of the year; so that one may fall into the trap of committing hideous sins or transgressions against God and their fellow man throughout the whole year and then try to compensate those actions with one day of “repentance” or “atonement” and some good acts. This of course calls into question the believer’s sincerity and it asserts that a life-long task and duty can be turned on and turned off like a tap, one minute we sin the next we are in a state of grace! In effect to be the stewards of creation. 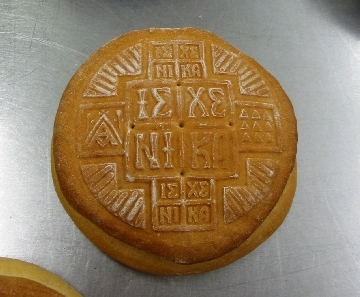 Some of these readings are the commonly held readings of Orthodoxy, but some of them differ with those utilised within the Ecumenical Patriarchate’s celebrations, since in the Church of Constantinople, the New Year is marked with much fanfare and longer services, which every few years also includes the preparation and blessing of Holy Myron which is distributed around the world. 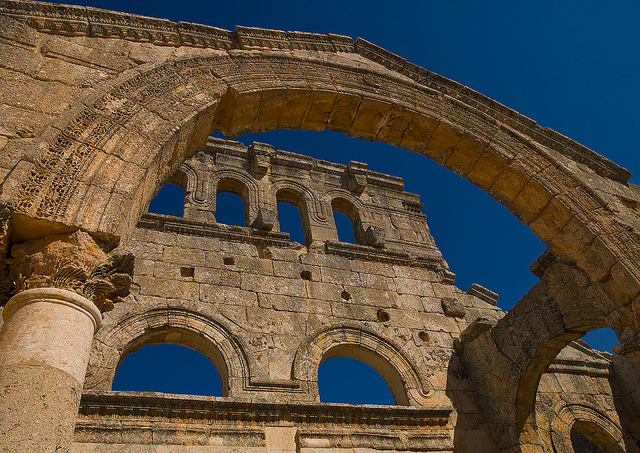 Furthermore the Church of Constantinople in more recent times, has raised the feast to even greater significance placing a greater emphasis on Creation and the well-being of the natural environment. Vespers of course are chanted on the previous evening (August 31st) because, according to Scriptural and Orthodox Tradition, each new day begins after the setting of the sun.